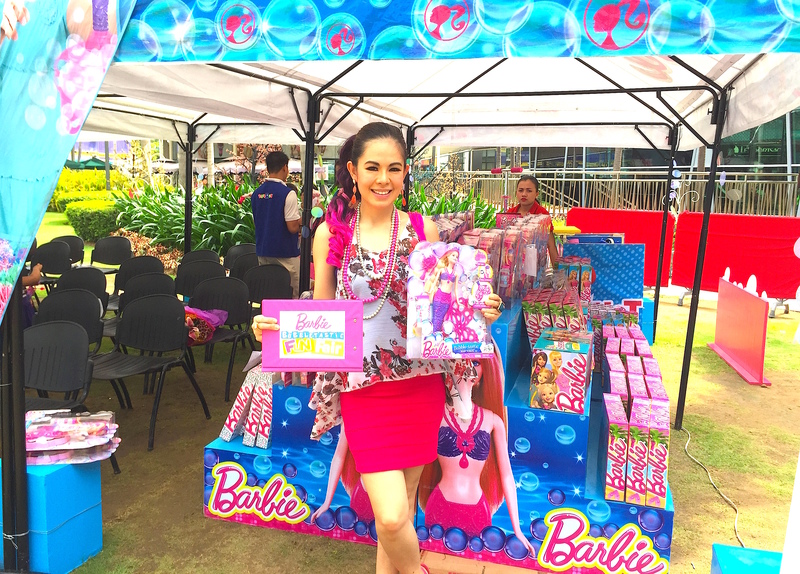 Marylaine Louise Viernes continues to be ecstatic and grateful to be the official event host / emcee for Barbie Philippines (Distributed by Richprime Global Inc and Mattel) events, for over 5 years and counting! 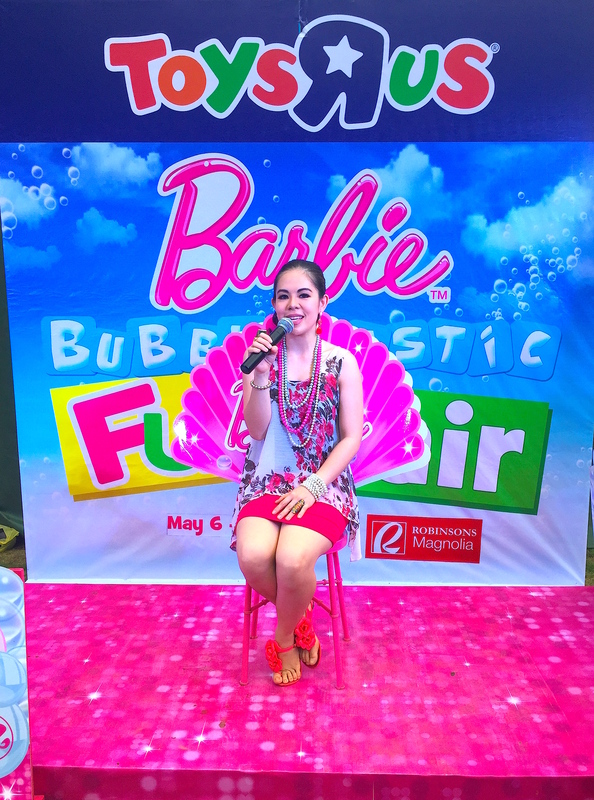 Marylaine got to emcee another exciting and Pink-tastic and fabulous Barbie activity to cap the fun summer season, and leave all Barbie girls and Barbie ladies fun-tastic memories with Pink bubbles and pretty mermaid friends, through the Barbie Bubble-tastic Fun Fair, featuring Barbie’s latest product, Barbie as a Mermaid Princess with a Bubble-licious tail! 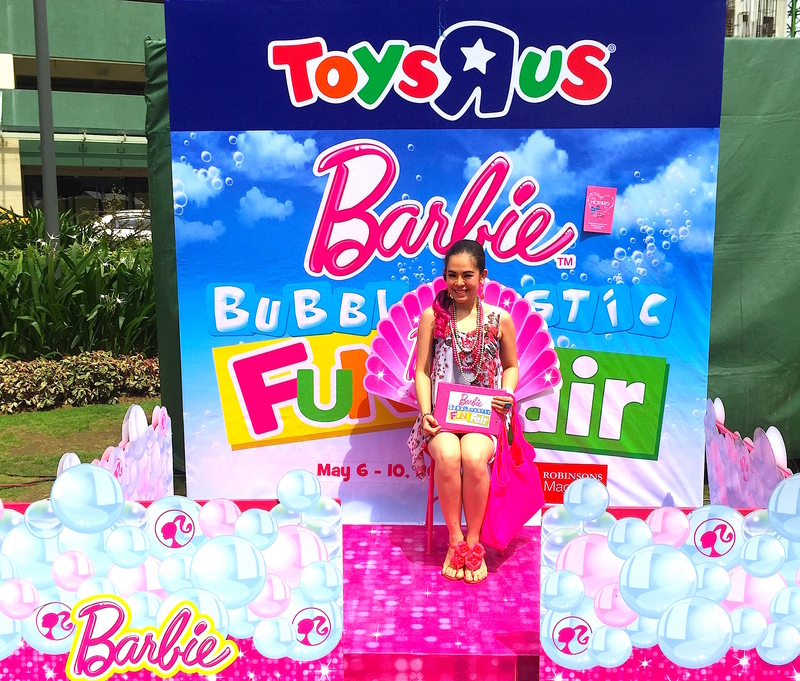 Held at Robinsons Magnolia’s Garden Atrium and done in partnership with Toys ‘R Us, this affair so to tons of little Barbie girls and their mommies as they spent an afternoon of learning, bonding and winning tons of amazing prizes only from Barbie!